It is important to remain fit and healthy during pregnancy. This will help not only yourself as you cope with pregnancy and the challenges it brings, but also your unborn child. Make sure you reap the benefits of safe exercise during your pregnancy. 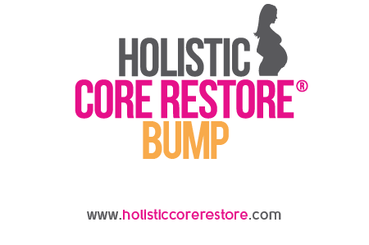 For expert guidance on exercise and core fitness throughout your pregnancy book on to our HCR® Bump programme. Our Functional Pregnancy Exercise programme get’s you strong for the life you lead and ready for your birth. ‘Bump’ is an integrated, functional movement 1-1 programme, specially designed to keep the mum-to-be strong, mobile and pain-free throughout her pregnancy and get her ready for her big day. We’ll get you re-acquainted with your Core, including your Pelvic Floor and will help you exercise safely throughout all the trimesters. Are you a woman that wants an easy to perform ANYWHERE, modern and effective way to strengthen her Core and re-establish its role as part of her whole body during Pregnancy? Do you want to prepare for your Post Natal period to ensure a deep recovery after birth? Do you want to understand the basics of ESSENTIAL NUTRITION for both you and your baby during your Pregnancy and understand the power of ‘just eating real food’? You’ll then meet with me to go through a hands-on Pre-Screening which includes tests for your Postural Alignment and Pelvic Floor function/Core connection so that we know where you are on your Pregnancy journey and the programme can truly be tailored to your needs. You’ll receive your login details for the HCR Online Platform via email which will allow you to log in and view your additional filmed homework which you’ll love and is delivered by Programme Creator Jenny Burrell. Your activity in between sessions is an essential part of the puzzle and when followed in conjunction with your face-to-face coached session will truly improve your results and the value you derive from the programme. This programme runs for a minimum of 6 sessions up to 40 sessions depending on where you are in your pregnancy. Ideally we would meet once a week and you would complete your online Pelvic Health homework 3-4 times per week in between sessions, although if you prefer to meet less regularly, this would also work providing you are doing your homework exercises between sessions. You would complete your online Pelvic Health homework 3-4 times per week. The homework is nothing to worry about. It is approximately 10 mins in duration and is very simple to fit into your day. You won’t need to shower after or wear fitness clothing. The online exercise videos can be viewed via all mobile devices and computers. You can follow this programme either face to face or via Skype if you are further away. If you have a friend who is also at a similar stage of pregnancy, I can combine your sessions and the second person comes half price. This class is a delicious blend of our unique ‘Releases’ – we’ve redefined ‘stretching’ and mobilisation to create something that will be very well received by every Pregnant woman. We teach you simple mobilizations to keep you moving pain free throughout the Trimesters. We teach you about eating to support your health during pregnancy and will support you in this aim throughout the pregnancy. Overall, a modern, practical, nurturing and supportive time for the mum-to-be that will support you all the way to your baby’s birth date! Get in touch, you’ll love it! The 6 Session Programme on a one-to-one basis is £300. Although this programme is only 6 sessions long, it will teach you the rules of looking after yourself for the full term of the pregnancy. We can spread out the sessions over the time remaining in your pregnancy if you prefer, or meet weekly (you choose). You will be given the tools and knowledge to exercise safely on your own in between sessions. The 13 Week Programme on a one-to-one basis takes you right from when you first find out you are pregnant to birth. It allows you to build up your strength from the beginning, providing a solid foundation for your baby to grow on. I'll give you full support throughout your pregnancy as the demands on your pregnancy and body change via our weekly sessions. The cost for this 13 Week course is £600 (payable in monthly installments if required). If you have a friend who is at a similar stage of pregnancy to you, please contact me for reduced rates per person for small groups. It is advisable to start this course as soon as you can into your pregnancy to get your good habits starting early on. However, to start this at any stage is better than not at all because this can set you up for life with a stronger and healthier body.